The 2019 DLI and NCA annual Five Star Brainstorming conference will be held January 17 – 20, 2019 in St. Maarten at the Sonesta Oceanpoint resort. Members of both organizations are invited to attend for a long weekend of adventuring, relaxing, and entrepreneurship. With only 129 rooms on the property, the Sonesta Ocean Point resort is a smaller property than the associations have used in previous years. The resort is a Five-Star adults-only property that includes food, liquor, room service, mini bar, WIFI, taxes, gratuities, and other amenities. Attendees need more than just motivation because motivation fades, he said. “I mix in actionable content that can create lasting change in lives. 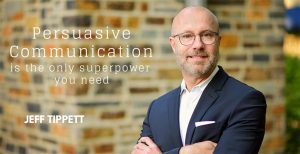 I began my career teaching at a university; I guess once a teacher always a teacher.” With 500+ presentations under his belt, Jeff knows how to successfully weave these two styles together. Click here to see a video of Jeff speaking. 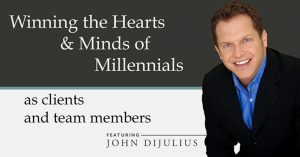 John DiJulius will share his insights and answers to the key questions you have about attracting and retaining millennial employees and clients. This generation is your future, and you need their support in the workplace, at the counter and on line. John has been studying this challenge and is looking forward to sharing his take on what you need to do to with you. Chick Fil A is the highest ranked fast food restaurant in customer service and the fourth most-inspiring company, according to Forbes. These accolades are the expected norm among higher paying luxury service brands.Â However, attaining these service and culture heights, when relying primarily on minimum wage employees, makes these Chick Fil A achievements all the more remarkable. 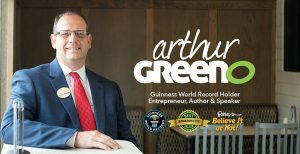 Arthur Greeno, long time Chick Fil A employee turned owner and author of two best selling books, will share the secret of the fastest growing fast food brand’s success with you on Sunday morning. His appearances and message have been described by audiences as relevant, adaptable, lighthearted, irreverent, real, hilarious, engaging and remarkable. His goal is to show you how you can make others believe in your business and help make it remarkable too. Next postHow Will Tax Overhaul Impact You and Your Business?